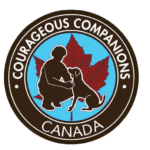 When a one of a kind service dog is needed to help a young child, MSAR is contacted to assist and here is the amazing story. Here is one of our MSAR family members sharing their story of having a service dog - Kris (K-9) was trained for our little angel. K-9 Kris was trained by Certified Master Dog Trainer George Leonard. Partnering with a The Children's Wish Foundation helped to expand Katarina's life. From before our oldest child was born, we knew she was a one of a kind person. An early ultrasound showed that she had a severe heart defect and further testing confirmed that she had a genetic syndrome so unique, it doesn't even have a name. The many specialists who saw her after she was born advised us that they didn't think she would have a high quality of life. 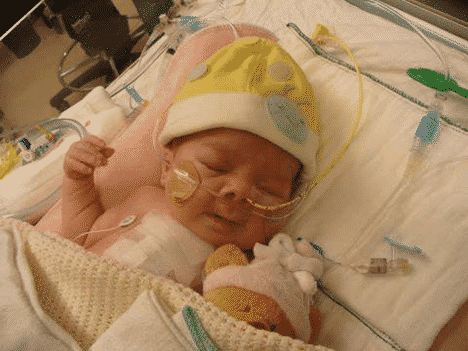 Despite that, we wanted to give our daughter every fighting chance at life so we flew to Edmonton where Katharina underwent open heart surgery at 1 week of age. Fast forward a few years and our daughter who we were initially told may never breathe on her own, sit up or feed herself now loves running and jumping and playing with her younger sister and brother. Much research has been done in the rare genetic community and we have since learned that it is common for children with her syndrome to have autism. A few years ago we began noticing many traits in Katharina that are similar to autism, some of which were making it difficult for her to be out in new or crowded places safely. After some research, we found out about the organization, MSAR who train service dogs for people with all kinds of disabilities, including autism. 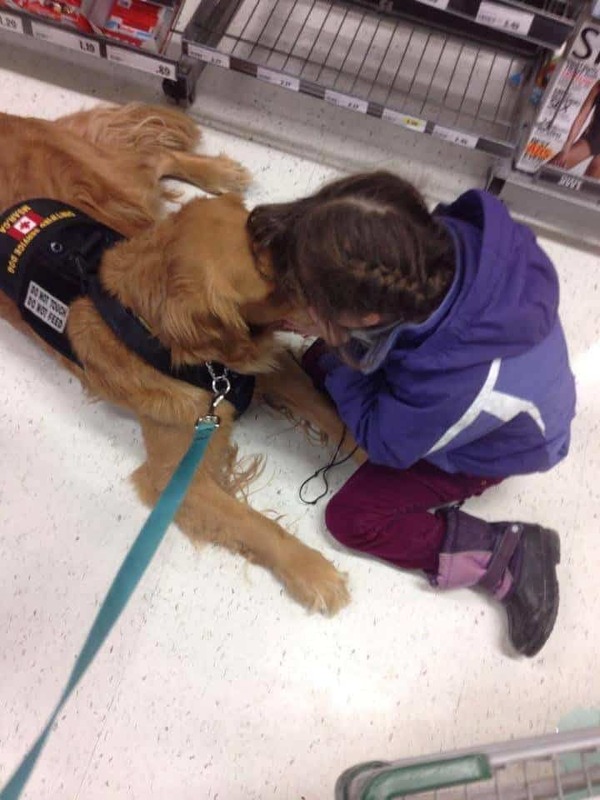 The Children's Wish Foundation teamed up with MSAR to bring Katharina's service dog, Kris, into her life. MSAR provides customized training for the dog and the individual being served. They also provide ongoing support and training as the needs of the individual change. The team is selected very intentionally and a lot of thought goes into making the perfect match. During an initial meeting with some of the trainers, they told us about a child and dog team who had visited Ikea without any meltdowns. That seemed like a lofty goal but a mere 2 months after Kris came to live with us I took Katharina and her dog to the store to see how we would do. We made it through the whole store! I had blinked back many tears in stores out of frustration and defeat but this was the first time I had tears of joy and relief in my eyes. We've since gone to the zoo, movie theatre, amusement parks and even the symphony as a family! MSAR gives people hope for a brighter future. I know Katharina has huge potential for independence now that she has Kris by her side. We have been so blessed by this organization that truly cares for the people they serve and the dogs they train. We know that they will always be here for us. Autism is a complex neurobehavioral disorder that includes impairments in social interaction and developmental language and communication skills combined with rigid, repetitive behaviours. The disorder covers a large spectrum of symptoms, skills, and levels of impairment. It ranges in severity from a handicap that somewhat limits an otherwise normal life to a devastating disability that may require institutional care. A child with autism who is very sensitive may be greatly troubled - sometimes even pained - by sounds, touches, smells, or sights that seem normal to others. Children who are autistic may have repetitive, stereotyped body movements such as rocking, pacing, or hand flapping. They may have unusual responses to people, attachments to objects, resistance to change in their routines, or aggressive or self- injurious behaviour. At times they may seem not to notice people, objects, or activities in their surroundings. Some children with autism may also develop seizures. And in some cases, those seizures may not occur until adolescence. Some people with autism are cognitively impaired to a degree. In contrast to more typical cognitive impairment, which is characterized by relatively even delays in all areas of development, people with autism show uneven skill development. They may have problems in certain areas, especially the ability to communicate and relate to others. But they may have unusually developed skills in other areas, such as drawing, creating music, solving math problems, or memorizing facts. For this reason, they may test higher - perhaps even in the average or above-average range - on nonverbal intelligence tests. Symptoms of autism typically appears during the first three years of life. Some children show signs from birth. Others seem to develop normally at first, only to slip suddenly into symptoms when they are 18 to 36 months old. However, it is now recognized that some individuals may not show symptoms of a communication disorder until demands of the environment exceed their capabilities. Autism is four times more common in boys than in girls. It knows no racial, ethnic, or social boundaries. Family income, lifestyle, or educational levels do not affect a child's chance of being autistic.